This "The Brave" print works great for framing or hanging as wall art. Our high quality inks ensure vibrant colors, deep blacks, and bright whites. It will look great as a high quality poster print or wrapped canvas. 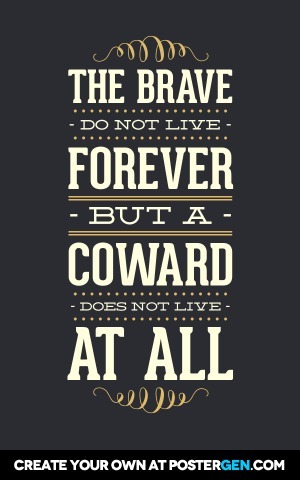 "The brave - do not live - forever - but a - coward - does not live - at all"